For years, the prevailing view has been that brokers were permitted to lien the proceeds from the sale of a property to secure their commission, but not the property itself. However, a decision by the Third District Court of Appeal in July has effectively expanded the rights of real estate brokers to protect their commissions in commercial real estate transactions. 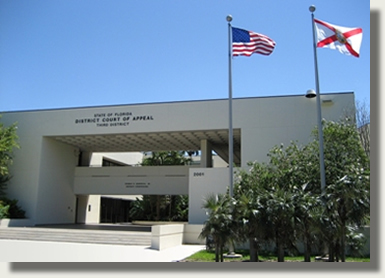 In the case of J. Milton Dadeland, LLC v. Abala, Inc., the appellate panel found that a broker is permitted to lien the property in a commercial real estate transaction while the transaction remains pending in order to protect its commission. The change is significant, as liens on a property require that the parties to the transaction ensure that the broker is paid and the lien is released prior to the closing. Liens on the proceeds of sales allow for the transaction to be finalized, and the broker is then left to pursue the seller to recover their commission from the proceeds. In its ruling, the Third DCA found that the Florida Commercial Real Estate Sales Commission Lien Act does not establish that brokers’ ability to lien the proceeds of sales is their only remedy. The case involved a $1.47 million award to Abala, which brokered a $25 million short-sale of an apartment complex to J. Milton Dadeland LLC in 2010. Prior to the closing, Abala placed a lien on the property in order to secure its commission, and J. Milton sued after the closing in an effort to vacate the lien. The court disagreed with J. Milton’s arguments that the state’s Commercial Real Estate Sales Commission Lien Act provided an exclusive remedy to the broker in the form of a lien on the net proceeds but not on the real estate itself. It concluded that it would be absurd to limit a broker’s rights to claims on net proceeds in a short sale, as there are no net proceeds in such sales. The court found that the Lien Act allows a broker to place a lien on real property where expressly permitted by contract. It ruled that the broker’s lien in this case was permitted by its contractual agreement, and it affirmed the circuit court’s judgment enforcing the broker’s right to the lien. This decision sends a clear message to brokers to ensure that their client agreements specifically provide that the lien for their commission can be placed on the real estate itself; and for owner/sellers to assure themselves that their commission agreement waives this right and limit’s the brokers lien rights to the proceeds as specified in the statute. The ruling establishes that the contractual terms found in a broker’s agreement are not limited to the scope of the Florida Real Estate Commission Lien Act. Broker contracts that contain the right to file such a lien enable brokers to do so at any time prior to the closing, without having to file a lawsuit. The ruling makes it imperative for real estate attorneys as well as title and closing agents to conduct due diligence on everything from the listing agreement to the title. In addition, it would not be a surprise to see more appellate challenges on this issue, which could result in conflicting rulings that would eventually lead to the Florida Supreme Court taking up the issue. Opponents of the ruling may also pursue changes to the law during the next legislative session in order to attempt to reestablish the previously accepted status quo.